Grigor Dimitrov is one of us. When he loses he blames the racquet. Well, with the kind of season he has had so far I am not too surprised to see that Dimitrov is testing a new racquet. The question is what racquet it is and what it will do to his game. Dimitrov, like Fernando Verdasco, is one of those guys that do not hesitate to try new gear when the results are not going his way. He has been back and forth between the Wilson Pro Staff 97S and his custom 93S quite a few times and now he seems to have gone to a larger head size again. Recent pics definitely reveal that Dimitrov is testing a new racquet. What racquet is it then? Well, speculations are alive and kicking on the tennis forums. Is he back to the ProStaff 97 but with a 16×19 string pattern (which would basically be a Wilson Pro Staff 97 pro stock)? Or is he trying a new Pro Staff 100 mold? Or has he gone to way of a lot of other Wilson pro players – with the H22? Well, thanks to @iam.mattiaspata I now know it is a RF97A leaded up to 360 grams with a 31,8 cm balance. Interesting to see Baby Federer going the way of ”old” ?Federer! Will the results follow? 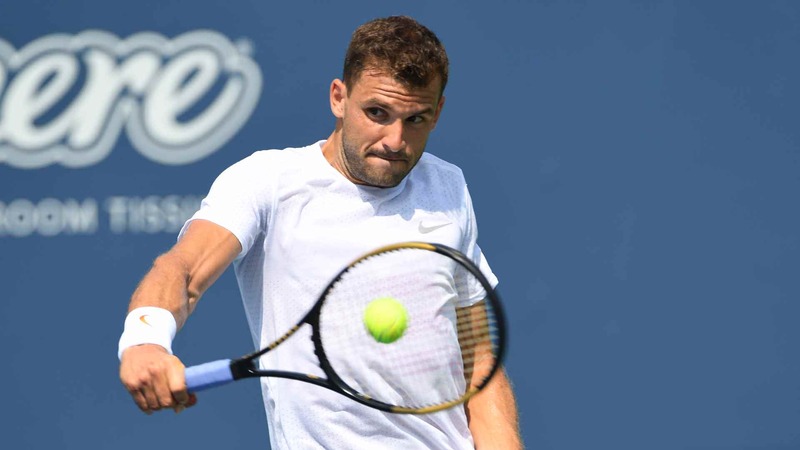 Grigor Dimitrov is testing a new racquet – Will it reverse his fortunes? The key question from all this is whether a new racquet will help Dimitrov to reverse his poor fortunes in 2018? He sure sounds positive in this interview from the ATP website. He is still ranked at number five in the world, but has not won a single title in 2018 after four titles, including the ATP World Tour Finals in 2017. Can it really be the racquet? Well, one of the issues he has had in 2018 is to finish off points. Physically he is in good shape, but to me he is playing too passively and often taking too long to move in and try to finish the point. Maybe here the extra power of the new racquet can help? Dimitrov’s technique is relatively traditional and I can see why a 93 sq inch racquet has been working so well for him with his close to eastern grip and flatter hitting than most players on the tour. But we have seen plenty of ATP professionals move to larger head sizes in recent years (Federer is the best example) and I can see why this is happening. You get more spin, a larger sweet spot and more power with a bigger head size. The two trade-offs are less control and that it is tougher to manoeuvre a larger racquet. But with the pace of the game increasing, the extra power, sweet spot and forgiveness is becoming more and more important. 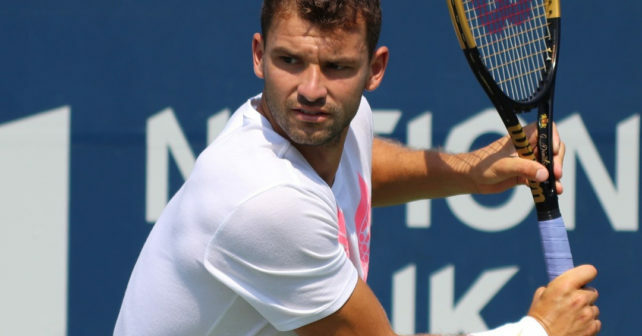 Will it affect Grigor Dimitrov’s game positively? This remains to be seen. Grigor Dimitrov is testing a Wilson Pro Staff RF97 Autograph with some lead tape at 3 and 9 which ends up at 360 grams strung with a 31,8 cm balance. Very close to the specs of Roger Federer’s Pro Staff RF97. Below are his previous racquet specs (photos are from Max Gao’s Instagram). 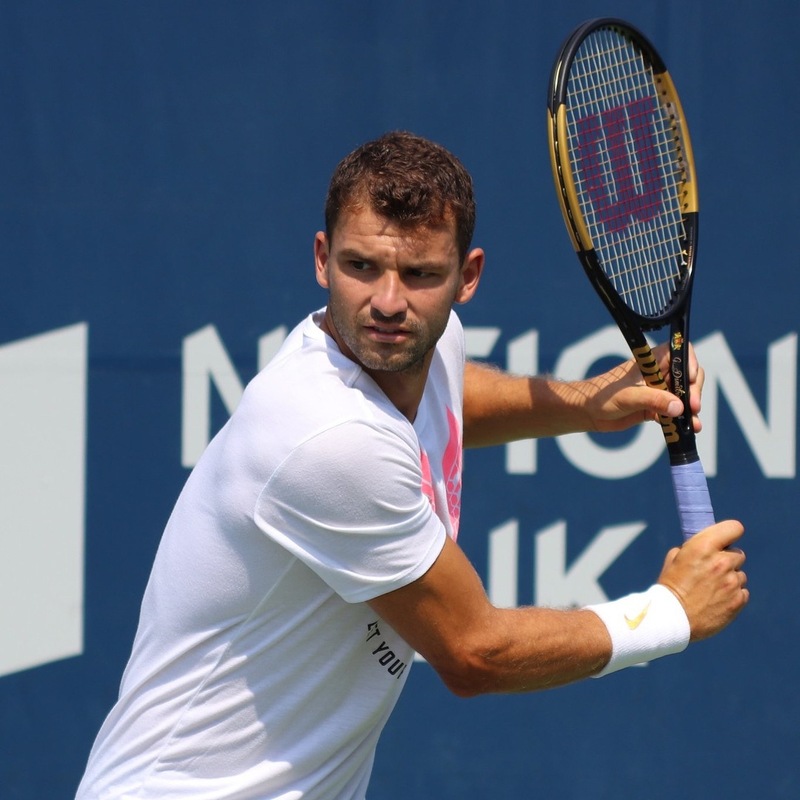 In his first match (a tight win with 7-5 in the third set tie-break) against Fernando Verdasco in Roger’s Cup in Toronto, it was quite clear that Dimitrov played more aggressively and had some extra power on his shots. The RF97A might be helping him to win points with less effort. Head size: 93 sq. in. / 600 sq. cm. Length:27 in. / 68.6 cm. Strung weight: 12.5 oz. / 353 gr. It will be curious to follow Dimitrov’s results with this new racquet. How do you think he will do during the hard court season and the end of the year? Please comment below! hey its weird. in that photo hes wearing vapor X.
I string Dimitrov racquets when he is in Montecarlo, last time just before Toronto tournament. Okay, thanks a lot for the info! I appreciate it and will update it. Dimitrov is changing his racquets more often than his underwear! He tried the RF97A pro stock for a while and then went back to his 18×17 spin pattern.